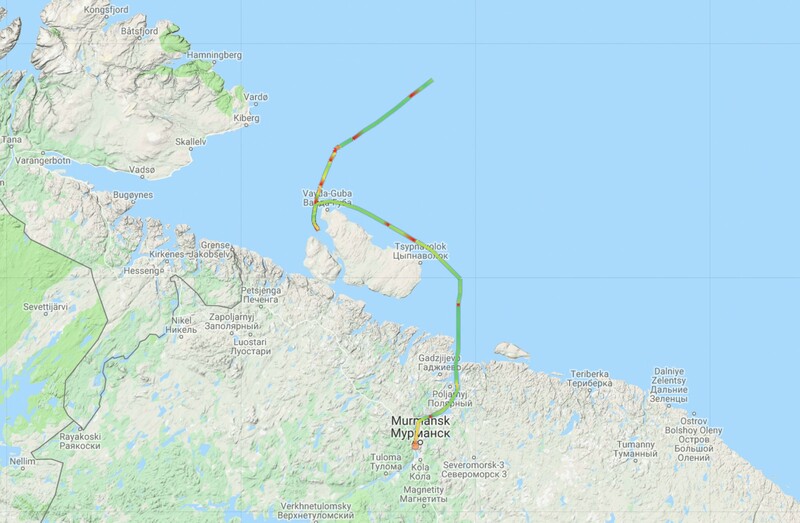 The Norwegian shipowner long insisted that the 64 meter long trawler had not been detained by Russian coast guard, and that it proceeded to Murmansk only for regular control. Now, the FSB comes with another version of the case. The security service on Tuesday said that the «Arctic Swan» had engaged in illegal catch in Russian waters and consequently violated Russian fishing regulations. Further proceedings are now in the making and the trawler likely to remain locked in the Murmansk port for several more days. The «Arctic Swan» was detained when it was doing shrimp fishing by the Aynovsky Islands, near peninsula of Rybachii, on Tuesday last week. In the preceding days, the ship had operated in the central and northern parts of the Barents Sea, local broadcaster TV21 reports. The place of detention is located only few kilometers from the border to Norway. The Rybachii Peninsula is part of the Russian border zone and regularly used for military activity. The Barents Observer has not managed to get a comment from the Norwegian company for this report. The «Arctic Swan» is normally doing catch of shrimp and cod. It is owned by the Alta-based company Arctic Swan AS. The trawler mostly operates in Arctic waters including the Barents Sea, around Svalbard, Jan Mayen, Greenland and Canada. It is operating for sales company Coldwater Prawns of Norway. It is not the first arrest of a Norwegian trawler in Murmansk. In April 2017, the «Remøy» was detained after the Russian side registered a mistake in the ship’s fishing license. It took about three weeks before the ship left Murmansk and returned to Norway. The Norwegian Fishery Directorate soon confirmed that it was to blame for the administrative error in the fishing license. Paradoxically, the «Arctic Swan» and the «Remøy» are both delivering to the same sales company.